Don’t struggle to collect and dispose of your old junk items alone, let the trained staff of Go Rubbish Go. do it for you! We understand that the accumulation of junk over a long period of time in any property is inevitable, and we definitely understand that disposing of it is hard work. Our Camden rubbish removal staff members are trained to dispose of your waste in the most efficient manner possible. How much do you charge for Camden rubbish removal services? For more info you can visit our rubbish removal prices Camden page. 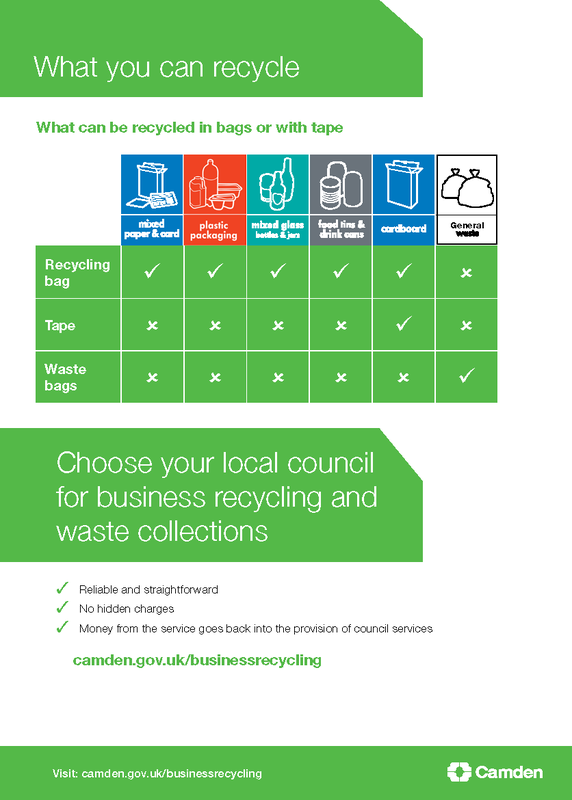 How much Camden Council charge for waste recycling? Where to get parking permit in Camden area and how much does it cost? Where to apply for Camden Parking Permit? To apply for Camden parking permits you need to register a Camden Council Account. Visit this link to register now. Please visit this page for latest Camden parking permit prices. 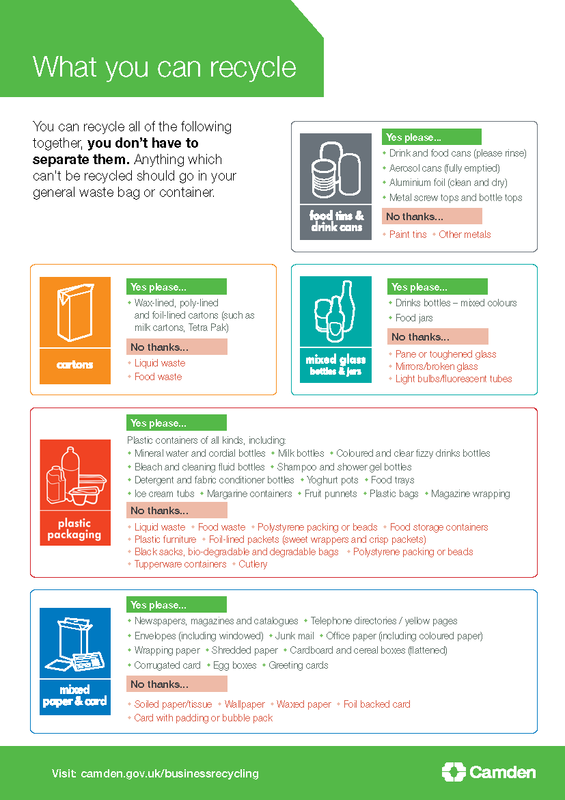 What waste I can and can’t recycle in Camden recycling centres? What happens to your Camden rubbish & waste? The items that are collected together in your Camden recycling bins are taken to a Materials Recovery Facility (MRF) where the different materials are separated both by hand and through mechanical processes. You can also check your collection days by entering your details here. As a professional Camden waste removal company, we offer far more services than you may expect. Our expertise extends further than just rubbish removal from your home in the NW1 district; we offer garage clearance, garden clearance and cater to a variety of other areas too! With us, there’s no need to worry about your waste damaging the environment – we aim to recycle as much of your junk as we possibly can. We understand the damage waste can cause, so, as rubbish disposal professionals, we aim to be as eco friendly as we can be. Along with these high standards, we offer the lowest prices in the entire Camden region. So why look anywhere else? Our NW1 waste clearance is unbeaten, so call us today on 020 8610 9182 to book or for a free quote! Our Camden Rubbish Removal Professionals Know How To Dispose Of Your Old Junk In The Most Efficient Way Possible! 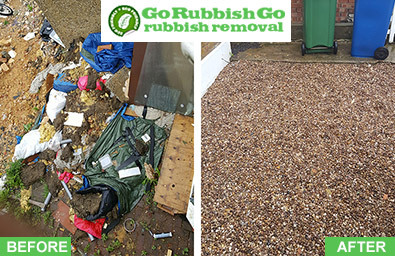 When you hire a rubbish clearance in Camden, NW1 from Go Rubbish Go., everything is covered in one low cost – with no hidden fees! By hiring us, you save money on skip hire and a skip permit. We not only offer fully trained staff to load and unload all of your waste in the NW1, but we provide all of the necessary transport and equipment too. Skilled workers and very good prices! 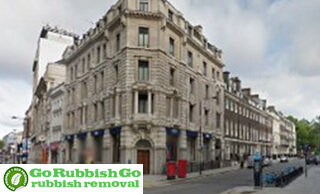 Their rubbish removal in Camden is the most reliable. Will tell all my friends and family in NW1 about them! Waste Collection In Camden Is Easy With Our Professional Team! We only charge you for the waste that we collect, so there’s no need to worry about being overcharged by paying a fixed fee for only a small load. Our overall aim is to keep our costs low and reflect these in our prices for you, our customers. We work hard to keep our standards as high as possible, so that you are left with rubbish removal results that will not be beaten elsewhere in the N1 area. So don’t waste time, call 020 8610 9182 now for the lowest prices on waste collection in Camden, you won’t regret it! We know how frustrating it can be when the mess in your house has built up so much that it won’t fit in the sparse bins provided by your local council and when you don’t have the time or a vehicle big enough to dispose of it yourself. By making a phone call to 020 8610 9182, you will be putting the very best in the business in charge of your household rubbish disposal Camden, meaning that you never have to worry about junk cluttering up your home again. So what are you waiting for? Pick up the phone and give us a call, we will talk you through the waste disposal NW1 services we have on offer and give you a free quote! Camden is a mainly residential area in the inner-city area of London. It is best known for its vibrant, lively markets. Besides being an attraction for the locals, Camden’s markets bring a large amount of visitors from near and far. The markets all offer a different selection of items, often handmade. Camden Lock Market offers books, crafts and fast food. Camden Market offers a plethora of fashion items to cater for a variety of different tastes. Finally, The Stable Market consists of a range of stalls that offer antiques, food and household items. There really is something for everyone. Apart from these, Camden boasts galleries that attract visitors to view edgy art and photography; these include Proud Camden and Cob Gallery. As a very cultural, vibrantly atmospheric area, Camden offers a wide range of eateries with cuisines from all over the world. Top places for authentic cuisine include the pan-Asian restaurant, Gilgamesh. As a largely tourist area, Camden also has a lot of hotels on offer. For a cheap, simple stay young travelers may choose the Smart Camden Inn hostel, whereas for a more luxurious stay, the The St Pancras Renaissance Hotel is available.